As I kid I always remember mushroom picking later in the year, say around late August and early September. We would visit my Opa’s farm near Bancroft and wander the 200 odd acres looking for what they referred to as Pfifferlinge. 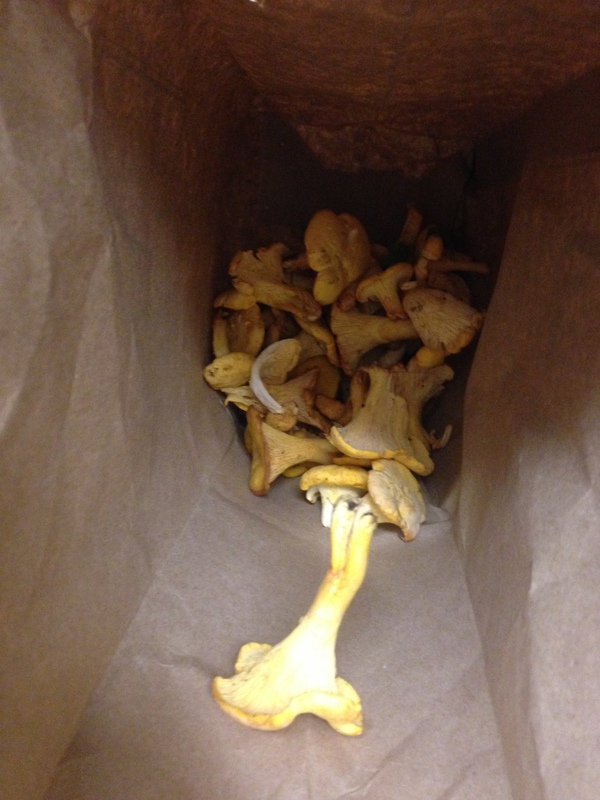 So you can imagine my surprise when my good buddy Dave showed up to work this morning with a brown paper bag full of some beautiful Golden Chanterelles ( and a hedgehog mushroom) for me. This was quite a surprise for mid July, but hey, I’m not one to look a gift horse in the mouth so I accepted them eagerly. This entry was posted in Uncategorized and tagged chanterelles, chanterelles in ontario, Pfifferlinge, southern ontario mushroom picking. Bookmark the permalink. Thanks! I decided earlier today that I would make a mushroom risotto with them. Possible with some parmesan Reggiano for consistency and flavour. I just moved to the Kingston Area and would like to find places to pick blueberries and Chantrelles in the area. Does anybody know where to find them? Hi Anke, I can tell you that there are very few places, if any where you can find wild blueberries around Kingston. 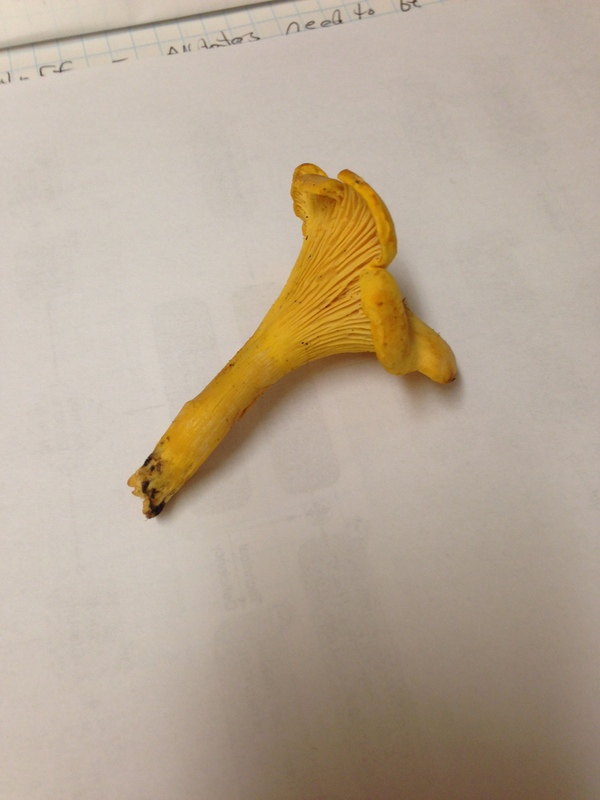 As for Chanterelles, your best bet is get permission from friends who own property and go for a walk after a good rain. Given the value of these mushroom, most public places will be pretty picked over.